C’est avec une immense tristesse que nous devons vous informer que notre Président aimé, Taghi Farvar, s’est éteint le Lundi 16 Juillet 2018. Il était avec sa famille à Téhéran, et a été enterré à Meygoon, avec la présence de sa famille et de l’équipe de Cenesta au complet. Merci d’utiliser cette page pour laisser les messages de condoléances, les souvenirs et photos que vous souhaitez.  Vous pouvez lire également ces notes sur la vie et les accomplissements de Taghi. Le Consortium APAC va donc prendre un peu de temps nécessaire pour se remettre de cette triste nouvelle. Entre temps, nous nous souvenons de son amour, de son travail infatigable comme orateur pour les droits des peuples autochtones et communautés locales à travers le monde et nous envoyons notre amour et nos pensées à sa famille en Iran et à sa famille étendue à travers le monde. Nous sommes déterminés à honorer son riche héritage et à continuer sa lutte. Plus de photos se trouvent ici. 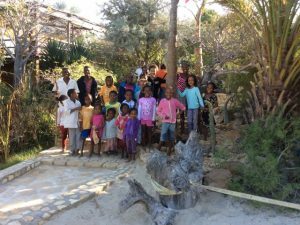 Whilst many tributes from around the world reflect and pay tribute to Taghi’s immense and diverse contributions, I thought this focus on children’s play within indigenous tribal peoples may not be so widely known. Thanks again, Taghi, for focusing on the seriousness of children’s play. And long may your playfulness permeate other serious stuff. I first met Taghi in 1966 when he was a student of biology at Washington University in St. Louis, Missouri, working with Barry Commoner, a great intellectual and early intellectual working against the use of nuclear weapons and later against its use for power. Taghi and I had many joint activities in those early years, and he was an outstanding and committed activist-intellectual even in those days. 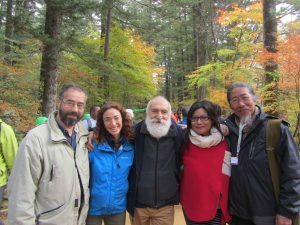 Our subsequent encounters in connection with work in IUCN and CENESTA demonstrated his enduring commitment to the peoples who were his roots and the worldwide network of peoples with whom they connected. His leadership in joining with Grazia and their coterie of colleagues is reflected in the outpouring of memorial comments imprinted on this page. We will always remember and be grateful for his sensitive relationship to peoples in Latin America. My family here in Mexico cannot but be thankful for the brief moments we spent with him and the always important electronic communications, including some wonderful exchanges on Skype that are engraved in my memory. ENGLISH — Six months have now past from the loss of our beloved Taghi… and the New Year begins, indifferent as all new-borns. But our loss has happened. The salt he brought to many of our lives, and the zest and sense of meaning that used to accompany it, are no longer. We are all poorer, although more aware of how precious it is to be alive together, to be able to hear a song from the unique voice of a loved person. ESPANOL — Han pasado seis meses desde la pérdida de nuestro querido Taghi… y comienza el Año Nuevo, indiferente como todos los recién nacidos. Sí, es claro que lo perdimos. La sal que el trajo a muchas de nuestras vidas, y el entusiasmo y el sentido que solían acompañarla, no están más con nosotros. Todos somos más pobres, aunque más conscientes de lo precioso que es estar vivos juntos, escuchar una canción de la voz única de una persona amada. FRANCAIS — Six mois se sont consumés depuis la perte de notre bien-aimé Taghi… et le Nouvel An commence, indifférent comme tous les nouveau-nés. Oui, notre perte est bien là. Le sel qu’il apportait à beaucoup de nos vies, ainsi que le zeste et la raison d’être qui l’accompagnaient, ne sont plus avec nous. Nous sommes tous plus pauvres, même si plus conscients du fait qu’il est précieux d’être en vie ensemble, d’entendre une chanson de la voix unique d’une personne chère. Conocí a Taghi a comienzos de los años 80. Nos conocimos en un avión de Avianca rumbo a Santa Marta. Era la época de las discusiones sobre Ecodesarrollo y Taghi hacia parte de una misión que venía a Colombia por parte del PNUMA a mirar un proyecto de Ecodesarrollo en la Sierra Nevada de Santa Marta. Nos encontraríamos muchos años despues en la UICN, allí compartimos muchos momentos y espacios trabando juntos en favor de los pueblos aislados, los grupos indígenas y sobre muchos otros temas territoriales que buscaban una equidad y un mayor reconocimiento de los pueblos tradicionales en vías de extinción. Una lucha ética pero desigual. Siempre me impresionó la inteligencia y claridad de Taghi, sus contribuciones son su gran legado. Gracias Taghi. Paz en su tumba. « I only met him once, at the consultation last fall on the draft guidelines on human rights and the environment, but he made such an impression on me – he was obviously brilliant and committed, but also such a lovely, warm person. I’m very sorry for your loss personally, as well as for the entire organization. We are saddened to hear about the passing of Dr. Taghi Farvar. 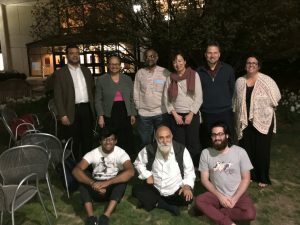 Taghi was part of our consultations on the draft framework principles on himan rights and the environment of the special rapporteur on human rights and the environment in 2017, in Geneva. He made an immense impression on the special rapporteur and his team. Taghi was a powerful presence and will be missed by many who values the nature and our common right to a healthy environment! Our condolences, the mandate of the UN special rapporteur on himan rights and he environment. Much blessings to Taghi and his family at this time. Transitioning between generations and the unfortunate loss of our elders is becoming an annual challenge. Because of the breadth of people we serve and our leadership this is an especially difficult struggle for our people on the ground. I am not in much of a place to kokua (help) but I think it is important to note that these challenges cross our oceans in continuing our work. We not only have to support the work but bridge the work of generations and even the differing views and realities between the two. 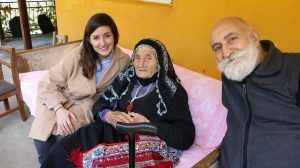 For the little time I spent with Taghi, I really enjoyed watching him work with and lift up younger generations, some of our elders in all their will and strength did not leave a space to be occcupied and shaped by a young person. They did not know how. I just read this poem the other day and with little it seems to say much about what happens when a space within and without is left behind by someone we love. Cuantos maravillosos sentires, emociones, gestos, palabras cargadas de vida, como de esperanza puede generar un ser humano como Taghi. He leido todos los mensajes, he visto las fotos y en ellas los rostros que acompañan a Taghi, expresiones que llegan desde pueblos, culturas, naciones diferentes y se concentran en el deseo firme de ser como él para que su energia, su generosidad, su espiritu de servicio permanente, viva y se multiplique. Muchos llegamos a la convicción de que el bienser de Taghi como el de muchos hombres y mujeres es luz y camino en el desconcertante mundo que vivimos. Los siete mares conocen el transitar de estas estrellas, y los continentes están acercándose desde el profundo amor a la vida, a la justicia, a los pueblos indígenas, creando movimientos globales con el ejemplo e inspiración de quienes nos sorprenden con su maravillosa existencia que no muere. Doy gracias por la vida de Taghi, y por todas las vidas que tienen en común con la suya. Llenémonos todos de toda la energía, fuerza, vida que llega de tantos lugares del mundo. 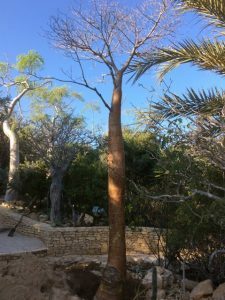 Famata Lodge (Anamakia-Ankilibe CR Saint Augustin, Toliara II Madagascar) planted a Baobab in honour of Taghi. Etre là, debout, pour dire non, pour dire oui ! Garder en nous qui tu as été. It is hard to believe that Taghi has left us, hopefully for a better life. He will be missed a great deal both as a friend and as a mentor. We shall cherish his memory and his valuable work for nature conservation, through local communities and indigenous people. 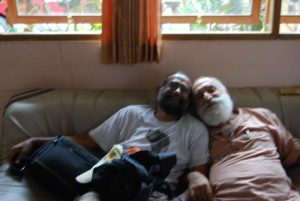 With Taghi, one gets to feel alive indigenous peoples’ fighting principles. He embodied these principles. Warm heartedness to everyone – people of influence or no influence, to co-advocates from other countries, allies and friends – he radiated it. And, global responsibility and free movement as Nomads would, is flesh and blood in Taghi. I cannot say more about Taghi, but only a part of his rich experience. 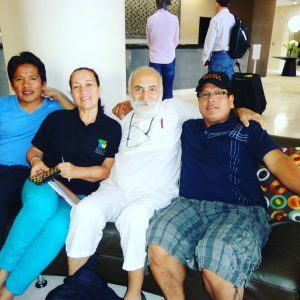 The full picture of Taghi is yet to emerge from testimonies of many indigenous peoples whose lives he touched – from his roots in his community to the global ICCA community. These testimonies will continue Taghi’s life in us. They will inspire us to carry forward our agenda of a “sane world” as Grazia wrote, where indigenous peoples are not regarded as slaves and sycophants but of free men and women enjoying the blessings of nomadism and self-determination. And for Grazia I use a word by Black Elk from the Rain Clan Dakhota. the storm by flying high above it. So, in the storm of life……..
Tears are giving space to an indulgent sight, disbelief to a quiet acceptance. Time is working gently to heal the heart. 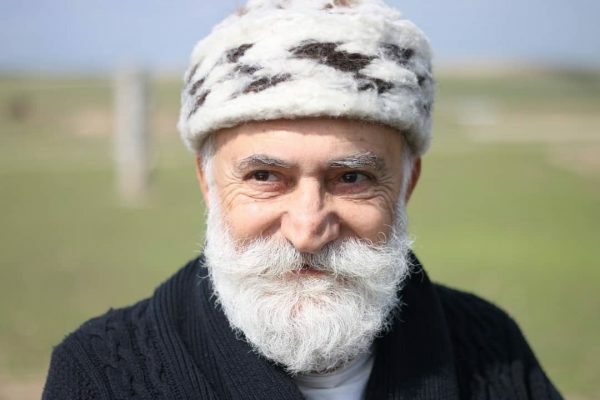 The mortal, human body of Taghi is back to matter and the earth feels a darker place to those who met him: an unanimously recognised ‘elder’ with the unanimously recognised spirit of a child, the perfect embodiment of gravity and levity. Dear Taghi, I wish I could have spent more time with you, learning your magic, listening to your words. What an impact you have left! What a difference you have made and are still making! In the messages that have floded the internet I seized how your vibrant, vigilant and deep sighting eyes on this planet are still out there and will outlive all of us. Because your stories, along with all nomads pathways, song lines and human trails, are written on the crust of the earth to remind us that layers of humanity, in space and time, in joy and in sorrow, cannot and must not be erased or neglected by the arrogance, or simple ignorance, or blindness of the last arrived, no matter if a ‘developmentalist’ or a ‘conservationist’ .The voices of peoples deserve respect and recognition, no matter if the message is conveyed in high heels, barefoot, naked, wearing a crown or a turban. This is part of your legacy and together we are making sure nobody will forget. Today, from as far as Australia, I feel much closer to you all, dear members of the ICCAConsortium: this is, with no doubt, the power of Taghi’s love. Ha pasado casi un mes desde que Taghi nos dejó y sigue siendo exactamente igual de difícil imaginar no verle de nuevo en la próxima COP del CBD o en el próximo congreso mundial de UICN. Taghi tenía esa capacidad de acercar las cuestiones cotidianas y locales a los niveles de debate más altos. De ser el portavoz de tantas personas y comunidades no escuchadas, y permitirles así estar presentes en esos foros mundiales donde a menudo solo acuden expertos y políticos. Taghi tenía el don de la palabra y el don de usarla sin reparos para las buenas causas, aunque no siempre sus comentarios fueran bien recibidos por aquellos que no desean cambios en el mundo. Pasé ocho años con él en el Consejo de la UICN y pude aprender muchas cosas de él, pero sin duda la más relevante fue aprender a no tener miedo de las opiniones contrarias cuando se defienden causas justas. 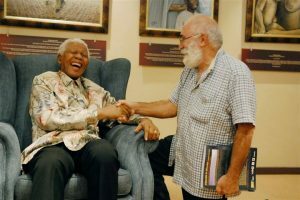 Una de las fotos más bonitas que estos días ha sido compartida es la que nos muestra a dos grandes hombres riendo desde el alma: Nelson Mandela y Taghi. Detrás de la foto hay una historia que nunca olvidaré; el resumen, es que ese día Taghi cedió su plaza para visitar a Mandela en favor de otras personas del staff de UICN a las que injustamente no se les permitía ir a visitarle. El resultado de su iniciativa fue que todos fuimos a visitar a Mandela y Taghi quedó inmortalizado para siempre con la mejor sonrisa de Mandela. Comparto una foto menos trascendente pero que muestra al Taghi vital y divertido, bailando durante una fiesta en el Consejo de UICN (2000-2004). Un placer ser su pareja de baile ese día y haber compartido tantos momentos de reivindicaciones en el seno del Consejo de UICN y fuera. Gracias Taghi por inspirarnos, ¡seguiremos tu ejemplo, pero te echaremos mucho en falta! 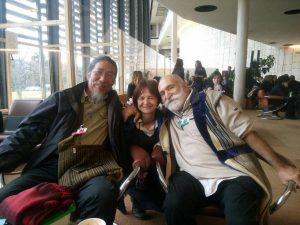 A month has almost passed since Taghi left us and it is still just as difficult to imagine not seeing him again at the next COP of the CBD or at the next IUCN world congress. Taghi had that ability to bring everyday and local issues closer to the highest levels of debate. To be the spokesperson for so many people and communities not heard, and to allow them to be present in those world forums where often only experts and politicians come. Taghi had the gift of the word and the gift of using it without qualms for good causes, although not always his comments were well received by those who do not want changes in the world. I spent eight years with him in the IUCN Council and I learned many things from him, but without a doubt the most relevant was learning not to be afraid of opposing opinions when defending just causes. One of the most beautiful photos that has been shared these days is the one that shows us two great men laughing from the soul: Nelson Mandela and Taghi. Behind the photo there is a story that I will never forget; the summary is that on that day Taghi gave his place to visit Mandela in favour of other people from the IUCN staff who were unjustly not allowed to visit him. The result of his initiative was that we all went to visit Mandela and Taghi was immortalized forever with Mandela’s best smile. 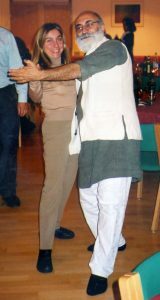 I share a less transcendent photo but that shows the vital and funny Taghi, dancing during a party at the IUCN Council (2000-2004). 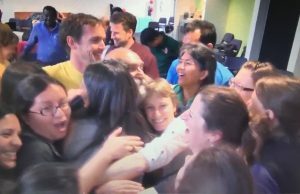 It was a pleasure to be your dance partner that day and to have shared so many moments of claims within the IUCN Council and outside. Thank you Taghi, we will follow your example, but we will miss you much! Happy International Day of Indigenous Peoples (9 August). In 2018 we celebrate this day with the theme of Indigenous peoples’ migration and movement while we lost our heroic fighter of indigenous peoples rights. Dr M Taghi Farvar has dedicated his life to promoting respect for and governance rights of indigenous peoples on their ICCAs. The video below is a short message from him about indigenous peoples’ role in nature conservation. ‘Born to live, we are destined to die’. With these words my teacher Bernardo Bernardi used to evocate the paradox of human reality. When a man accumulates wisdom, knowledge, vision and experience, when he is ready to lead, we have to lose him. There must be a good reason why so many African peoples keep elderhood in such high social esteem. Elderhood is not a matter of age. It is not counted in number of years. An elder is a special person, one who built his reputation throughout his life. Taghi was a real elder. With him I went to many places, places far from his own. With him I met many communities, whose culture, religion and beliefs where different from his own. Wherever we went, whoever we met, he was immediately recognized as an elder. There is no way we can replace Taghi, we will not go back to our previous normality, nothing will be the same. We need to learn how to walk in this new world. The sad news about Taghi reached me only a few days ago. I have since read Grazia’s deeply moving account on the IUCN web site and the many, many tributes here. I first met Taghi when I worked for UNEP in the mid-1970s, so that is ancient history. And then I saw more of him while a Commission chair with IUCN between 1994 and 2000. And most recently at a meeting in Dana 16 years ago about Mobile Peoples and Conservation. He was charming, witty, immensely well informed, articulate in every language known to man (well almost) and an unflinching advocate of the rights of indigenous peoples everywhere. A rare and noble man who played a central part in the global movement for equitable and sustainable living. I was surprised to read in Grazia’s account that he was never given formal recognition – strange indeed, especially as the tributes on the web site speak of a man who touched the lives of – and inspired – many thousands of people around the word. Can that omission be rectified, even posthumously? Or would he have regarded such a thing as an unimportant diversion compared to the causes he expected us all to fight for? I send my condolences to his friends and family. I would share with Taghi the thought that life is resilient and rebellious, and ICCA as territories of life. ayoy! Je partagerais avec Taghi la pensée que la vie est résiliente et rebelle, et l’APAC en tant que territoires de la vie. ayoy! Compartiría con Taghi la idea de que la vida es resistente y rebelde, e TICCA como territorios de la vida. ayoy! Je ne suis pas sûr que quelqu’un aura les vrais mots pour témoigner de façon exacte à notre très cher PAPA Taghi. Taghi est un don de Dieu, il est très rare dans ce monde actuel ou la jalousie règne un peu partout de voir un Taghi que tous le monde aiment sans exception. Il aime toujours blaguer, il considère tout un chacun comme personne directe à sa propre famille. Quant tu es avec Taghi tu penses que c’est toi qu’il aime de plus. En cette période ou nous vivons sans lui deviens comme des rêves j’imagine. Mais moi, je peux jurer que Taghi sera toujours avec nous et avec le monde. Et dites vous que Taghi restera à jamais vivant dans nos cœurs. Taghi était un homme cher à nos yeux. I am in shock when I read this news as I thought Taghi’s energy and determination will be with us in his « physical » presence for a long-time to come – a reminder we can’t take anything for granted! I well remember our fights and development of strategies together (and with Grazia too) to keep CEESP alive during the WCC in 2000 (when the currents were against us) and many other times when the passion to argue convincingly towards what we belief would have united us. Rest in peace Taghi knowing that your energy and inspiration will be here with many that will continue the work ahead for a long-time to come. Sincere condolences to his family and close friends. Dear All from ICCA Consortium and all that have been part of this journey in defense of the rights of indigenous, nomadic and local communities. With shock I see this news as I always felt that Taghi’s energy and devotion will carry through for many more years with him present; but no doubt will still carry for a long, long time to come in other forms now. My sincere condolocences to his family and close relations he can rest in peace knowing though that the work will continue! This is very sad news. I had the privilege of meeting Taghi quite a number of times over the years, including some wonderful meetings in Iran. Like many people I learned a lot from him. He was excellent company and incredibly dedicated to a number of causes, especially the cause of indigenous people and nomads. His was a life well lived. Deep condolences to his friends and family. The word “death” can not be applied to rare people like “Taghi”. A free man who never was trapped by any hassle in defending the indigenous people and the environment. He is a unique man with humanistic heart and mind, though due to his very different life goals and ways of doing things, he was never understood well even by his closest friends, yet appreciated for his passion and braveness to defend minorities against the imposing mainstream. I started knowing him a quarter of century ago. 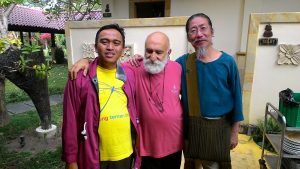 I learned with him from Mongolia to Jordan, and from Afghanistan to nomads. He always was devoted to hard work, when I asked him to rest a bit, he emphasized on his strong will to stay still until using up last drop of energy! I wonder if I am allowed to present my condolence for our loss of such a brave fighter for better life of minorities and better environment of all. I know you are watching each one us from somewhere above and smiling. We assure you that we will carry forward you mission. AND WHAT A MEMORABLE GUY HE WAS. WE HAD LOTS OF « TO AND FROS » WHEN WE WERE BOTH WORKING AT IUCN HQ BACK IN THE ’80S. HE ALWAYS WON. It was a privilege to serve Taghi as his deputy at the chairmanship of IUCN CEESP from 2004-2008. Although we drifted apart as to the politics of reaching « a just world which values nature », his wisdom, passion, erudition – flavoured with humour! – keeps guiding me. 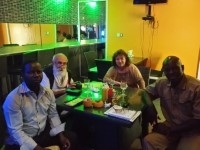 Pour sa dernière visite au Sénégal, occasionnant notre première contact en présence du Dr Gracia et Monsieur Khatary MBAYE Coordonnateur National PMF/FEM _Sénégal, le Dr Taghi a toujours défendu que les APAC ont toujours existé et partout dans le monde,il faut lutter pour leur reconnaissance. Chers amis du Consortium et partenaires ,c’est avec un grand regret que nous avons appris cette triste nouvelle qui est la disparition du Dr Taghi. Je pense que la meilleur façon de continuer à vivre avec lui,c’est de perpétuer son oeuvre et matérialiser sa vision à travers les APAC partout dans le monde. Avec DR gracia et vous et moi, ça ira. Magatte DIAW APAC Lac de Guiers. L’équipe du PMF/FEM du Sénégal vous présente ses sincères condoléances à l’occasion du rappel à dieu de notre ami, Taghi Favar. Il nous est difficile d’écrire un texte aussi beau que celui de Grazia (ci-dessous) pour rendre hommage à Taghi. Je me souviens lors de notre rencontre à Dakar (Lui, Grazi, Magatte DIAW et moi) il m’appelait amicalement « Danger ». Il me disait « Khatary, tu connais la signification de ton prénom? ça veut dire « Dangereux » donc je vais t’appeler maintenant « Danger ». Et c’était comme ça durant toutes nos réunions… On rigolait… on se racontait de petites histoires… à la limite comme de petits enfants. Hé oui, c’était ça la nature de l’homme… on ne sentait pas le temps passer quand on était avec lui. C’est une grande perte pour la famille des APAC. Taghi mérite un Hommage mondial du Consortium APAC. A Dieu Taghi…Tu dans nos memoires à jamais, grâce ton oeuvre pour la protection des APAC dans le monde…Que le Paradis soit ta demeure éternelle. Amen. I remember the first time I got to know you, in the Blue Mountains in Australia, as we walked up that long big hill together – hand in hand – to watch the aboriginal smoke ceremony. It felt so comfortable and natural, chatting and sharing life stories. I immediately felt we had already known each other for years. That was the start of a beautiful friendship, one which I felt had a lot of trust. To the point that you trusted me enough (only a year later) to come in my kayak and allow me to guide you through the stunningly beautiful cenote and narrow channels during a later GA side-event trip in Mexico – I think it was your first kayak experience ever! I will never forget that moment. This photo was taken the last time I saw you, in October 2017, when you visited me in my home in Helsinki. It was the last stop of your 10 day tour in Finland, and you were so pleased to be going back home to the warmth, as Finland had given you only cold and rain. Yet, we had such a warm and delightful evening, and my family and friends were so touched by you, especially by your sincerity and your courage to speak your word and to do things your way. Taghi, I will keep walking this path, this same path that you also walked and helped carve ahead, and I know that your vision, courage, strength, and enormous legacy will continue to be of immense inspiration and support, all the way. May Allah accept all his deeds…. It is with great sadness and shock that we learn of Taghi’s passing. Many of us had the opportunity to spend time, share and strategise with Taghi and we feel privileged to remember him with all his great experience and energy. We stand in strong solidarity with the ICCA Consortium and with you all personally at this tough and horrible time, and send you all our activist energy and strength for the days and weeks ahead. We can only begin to imagine what a huge whole he has left in your lives, but we hope you can also find moments and spaces for joyful remembrance of his activist legacy and strong friendship and loyalty. eny na dia lasa ho Razana Hitahy ny Fokonolona rehetra manerantany aza i Taghi « ! has passed over to be again the Spiritual Guardian of all Earth Fokonolona ». It was the greatest honor to work with Taghi and share several podiums with him. I’ve never met anyone with more integrity and clear eyed recognition of the causes of the envionmenral and devolopment challenges confronting humanity. It is sad that he is passed and his energy taken from the cause. It would have had dramatic effect had his intellect, experience and energy been fully synergized by IUCN in the the years he headed CEESP. Sadly, careerists in the organization chose to dismiss his wisdom, and we’re all far poorer for it. Mahalo for the time you spent with us in Hale ‘Aha on O’ahu at the 2016 Global E Alu Pu and the stories about your life’s work and joys and the friendship with Stokely Carmichael in school you shared with my wife and I. The short time I had with you, the mentorship I saw you give to young people like Ghanimat and others, the respect many had for you and the passionate energy and work you shared with Grazia will always be remembered and were impressed upon me as I live my life. Much love to you in your journey and much comfort to your family and those you physically leave behind. Ta sagesse, ton leadership et tes pensées nous guideront dans ce voyage des APACs. Nous te garderons à jamais dans les coeurs! This is the last time we met, in Geneva last December, and we said « bye »; and, he explained me the meaning of these athletic signs. I remember, and I will remember! I am really sorry to hear that my hero, my friend Dr. Taghi Farvar has left us. My deepest condolences to my friend Taghi’s family, members of Cenesta, and ICCA’s members all around the world. We have already missed you my friend. It was my great delight to meet Taghi in 2012, when GDF worked together with ICCA Consortium to deliver a workshop before the Montpellier Congress of the ISE. As I recall, Taghi’s many responsibilities and sympathies precluded his joining us for much of the workshop proper, yet he was anticipated with great fondness. When we did meet, a few days later in the swirling exchange of the Congress itself, his keen interest and focused attention to the ideas of a young person he had just met–with a bear hug–offered me great encouragement to carry forward my piece of the work at hand. It has been a comfort and inspiration to know that Taghi was continuing his great work in the world, and his absence is palpable, even on so brief a meeting. I will be holding his family, and the ICCA Consortium family, in the Light. Je veux m’associer à tous ceux qui prennent part à cette affliction, pour exprimer toute la tristesse et la peine qui nous ont envahies lorsque la nouvelle du drame est tombée ce 16 juillet. C’est en novembre 1999 que j’ai eu la chance – pendant une semaine – de me mettre à l’école de Taghi. A l’époque, j’étais coordonnateur régional du projet « cogestion pour la conservation de la nature dans les conditions d’instabilité socio-politiques. Processus d’apprentissage dans le Bassin du Congo », un projet de l’IUCN et de la GTZ qui recevait l’appui technique du Groupe de travail de l’UICN sur la gestion participative (IUCN CMWG). C’est dans le cadre de l’appui apporté par le CMWG que Taghi avait gentiment accepté de venir partager son expérience avec une cinquantaine de personnes provenant des dix sites d’apprentissage du réseau de cogestion des ressources naturelles dans le Bassin du Congo. Pendant cet atelier organisé à Buea, ville située au pied du Mont Cameroun, nous avons été agréablement surpris par les qualités de notre invité. Au lieu de se positionner en émetteur comme le faisaient beaucoup d’experts, au contraire Taghi a été un coach qui a pris le temps de nous écouter pour, ensuite, nous aider à apprendre de nos succès et de nos échecs. Voilà comment la flamme qu’il a apportée pendant son court séjour à Buea est restée allumée dans le Bassin du Congo, à l’image du volcan des lieux qui est toujours en activité. Les grands hommes ne meurent jamais ; ils continuent à vivre à travers nos pensées. A la famille et aux proches, Je vous présente mes sincères condoléances. Last October some of us Snowchange staff were on a working visit to the village of Koli and the Koli National Park. There was an evening event with some international guests organised by the main hosts of the evening at the Koli Community House. Huddled in the corner, as the Finnish programme was going on, I saw a somehow familiar form. He seemed to be asleep. I went closer and lo and behold – it is Taghi Farvar! The mutual surprise was rather big. He was not aware that our HQ was so close. Here we were at the extreme Northeastern corner of Europe, in North Karelia, Finland, and in a small community house we discover each other. This seemed to fit Taghi’s style of making things work. As the evening went on, Taghi quietly asked, whether we could make a get-away to the Snowchange HQ village of Selkie, 60 kms away, and whether he could stay with us for the night. I discussed this with the Finnish hosts in Koli and they, rather surprised, agreed to this request. And off we went, Kaisu, the head of our biodiversity unit, Taghi and myself in my old Citroen Jumper from which we deliver our commercial fish catches. Torrential rains mixed with intense discussions about the Snowchange and ICCA cooperation, our operational areas in North America, Finland and Siberia and the histories of our villages. As usual, Taghi was direct, challenged and listened as only he could. We arrived in the old growth of Havukkavaara forest around 10 pm. We made plans for the next day, as I d need to deliver Taghi to the hosts who continued their Finnish tour at noon. Taghi had been given 12 hours “free” to see the first Finnish ICCA areas. In the morning we departed from the HQ and went straight into the Ostola forest, which was the scene of the forest fight between Metsähallitus, Selkie villagers and Snowchange back in 2014. Before the fight for this last bit of unprotected old growth had evolved into an international incident back in 2014, we had been struggling to keep the harvesters away for six years ourselves as Metsähallitus was slowly encroaching into the last hectares. Unfortunately nothing worked and the fight to protect this precious forest spilled into the international realm that year. We walked across the Havukkavaara forest into the clear-cut part of the forest. We stopped at the surviving forests edge with tall Scots pines and Norway spruce standing tall. The forest is now fully protected with community traditional land use rights secured, including our communal moose hunt. (He proceeded to sample and taste a range of mushrooms as we spoke and he said all of them were of course edible. I quietly observed and hoped that there would not be an incident on this ICCA site – losing our President to a poisonous mushroom in the Finnish bush! All was ok, however). And here we were, at the remnants of the Havukkavaara forests, with the last of the last hectares being fought over, (as the 95% of the other Finnish forests that have been clear cut and converted into economic managed forests), where we “met” properly for the first and unfortunately, last time, with Taghi. He had summarized in a sentence the cancer from which we in this part of the world suffer. It is a hard reflection in the mirror, but it is a true reflection. Despite the handful of us in these small villages that maintain and cherish Forest Finnish thoughts and bloodlines in our non-Indo-European languages, the overall cultural shift is massive, both for Finland and larger Europe. We in the boreal were saved for centuries from the larger colonial process due to our strange languages, our hunting and fishing societies, the remoteness of our forests and lakes from European centers of power. Selkie village appears in maps only in 1550s – half a decade after America. But ultimately the machinery of Europe arrived, both for the mind and for the lands. The cancer of self-colonisation and full assimilation into these other, imported mindsets of globality has been rather complete. Therefore it was one of the proudest moments of our organisation that we could show Taghi “the other Europe” or the “other Finland” that we try to maintain, in solidarity and in close cooperation with all international partners, peoples, including the Sámi, to whom we are related through language. Not all people will agree with this, but it is our view as we see it. The story of Finland is unique. The rise and fall of our forests and our forest culture is unique due to our history between “West” and “East”. Taghi helped to save a forest that maintains our mind, our memory, our animals, our trees, berries, birds, our sacred thoughts. 2014 and fight for Ostola forest emerged as a symbol, the moment when we pushed back, and ultimately won. It is the first of the all future ICCA sites in Finland that restore our beings, our minds and our good relations with the forest, after a century of a downward spiral. We in Snowchange bow in thankfulness and gratitude as You, Taghi now take this journey further. Afterwards, on the return trip to Koli to rejoin his group, Taghi asked a question and immediately fell asleep for the rest of the journey. We both smiled, as if to share a secret. The Secret the forest he saved had given us. Of new beginnings, the old that will emerge as the new, the hope that survives even if almost everything seems to have been lost. 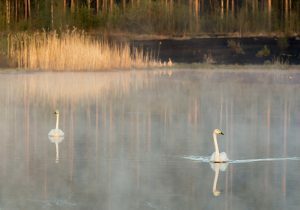 Today he sleeps with the swans – our sacred bird here in Karelia. As we have heard from the many messages to remember Taghi s work globally he did leave a lasting mark in our village too. Some of us used to find so much life in Taghi, so much ‘joy in living’ that we have no verb to explain what may have happened to him. We are suspended, in disbelief. Much time in our hands. But time lost its spirit, fire, reason to be precious. We used to say “Taghi has three functioning modes: 1. asleep, 2. on the phone, and 3. being the centre of the attention of everyone.” In mode 3, we may remember times when we were irritated. More often, we were inspired beyond what we thought possible. Never pacified, however. Never bored. Captured away by his laughter and his eyes, by what he was finding in us that we did not know existed, by his way of putting everyone at ease by being thoroughly at ease himself. Many of us remember expressions that were only our own with him. Endearing terms, phrases, favourite foods, totem animals, gestures, glances, small and large secrets… What is left of all these? Where has he taken our unique dictionaries and grammar, our memories, our shared time? Has he left us any reason to stand up and continue without him? Something he said in the last General Assembly in Geneva is – for me – reason enough to continue for a while, and I will try to articulate that, although not now. But the loss of joy and the loss of meaning are so strong that I already ask you all for indulgence, and help. I cannot yet imagine what the Consortium will be without Taghi. I dream we will keep alive– each one of us– some bits of his courage and determination, his wit, warmth, laughter and songs, the many languages and cultures he wore so easily because each one was learned as an encounter with friends, his visioning beyond anything material, his capacity to say the perfect words at the perfect time. We will miss him beyond what we can say, but please let us make part of him alive, again, any time we will be together. Algunos de nosotros solíamos encontrar tanta vida en Taghi, tanta « alegría de vivir » que no tenemos verbo para explicar lo que le pudo haber sucedido. Estamos suspendidos, con incredulidad. Mucho tiempo en nuestras manos. Pero el tiempo perdió su espíritu, fuego, razón para ser precioso. Solíamos decir « Taghi tiene tres modos de funcionamiento: 1. dormido, 2. en el teléfono y 3. siendo el centro de la atención de todos ». En el modo 3, podemos recordar ocasiones en las que estábamos irritados. Más a menudo, nos inspiraba más de lo que creíamos posible. Nunca pacificados, sin embargo. Nunca aburridos. Capturados por su risa y sus ojos, por lo que estaba encontrando en nosotros que no sabíamos que existía, por su forma de tranquilizar a todos por estar completamente a gusto él mismo. Muchos de nosotros recordamos expresiones que solo teníamos con él. Términos entrañables, frases, comidas favoritas, animales totémicos, gestos, miradas, pequeños y grandes secretos … ¿Qué queda de todo esto? ¿Dónde ha llevado nuestros diccionarios y gramática únicos, nuestros recuerdos, nuestro tiempo compartido? ¿Nos ha dejado alguna razón para ponerse de pie y continuar sin él? Algo que dijo en la última Asamblea General en Ginebra es, para mí, motivo suficiente para continuar por un tiempo, y trataré de articular eso, aunque no ahora. Pero la pérdida de alegría y la pérdida de significado son tan fuertes que ya les pido indulgencia, y ayuda. Todavía no puedo imaginar lo que será el Consorcio sin Taghi. Sueño que mantendremos vivos- cada uno de nosotros- algunos fragmentos de su coraje y determinación, su ingenio, calidez, risa y canciones, los muchos idiomas y culturas que usaba tan fácilmente porque todos fueron aprendidos en encuentros con amigos, su visión más allá de cualquier material, su capacidad para decir las palabras perfectas en el momento perfecto. Lo extrañaremos más allá de lo que podemos decir, pero por favor tratamos de que parte de él viva, de nuevo, cada vez que estaremos juntos. Certains d’entre nous trouvaient tellement de vie en Taghi, tellement de «joie de vivre» que nous n’avons pas de verbe pour expliquer ce qui pourrait lui être arrivé. Nous sommes suspendus, incrédules. Beaucoup de temps entre nos mains. Mais le temps a perdu son esprit, son feu, sa raison d’être précieux. Nous avions l’habitude de dire « Taghi a trois modes de fonctionnement : 1. endormi, 2. au téléphone, et 3. étant le centre de l’attention de tout le monde. » Dans le mode 3, nous pouvons nous rappeler des moments où nous étions irrités. Plus souvent, nous étions inspirés au-delà de ce que nous pensions possible. Jamais pacifiés, cependant. Jamais ennuyés. Capturés par son rire et ses yeux, par ce qu’il trouvait en nous dont nous ignorions l’existence, par sa façon de mettre tout le monde à l’aise en étant lui-même parfaitement à l’aise. Beaucoup d’entre nous se souviennent d’expressions qui n’étaient que les nôtres avec lui. Termes attachants, phrases, aliments préférés, animaux totémiques, gestes, regards, petits et grands secrets… Que reste-t-il de tout cela ? Où a-t-il emporté nos dictionnaires uniques et notre grammaire, nos souvenirs, notre temps partagé ? Est-ce qu’il nous a laissé une raison de nous lever et de continuer sans lui ? Quelque chose qu’il a dit lors de la dernière Assemblée générale à Genève est – pour moi – une raison suffisante pour continuer pendant un moment, et je vais essayer d’articuler cela, mais pas maintenant. Pourtant, la perte de joie et la perte de sens sont si fortes que je demande déjà à vous tous votre indulgence, et votre aide. Je ne peux pas encore imaginer ce que sera le Consortium sans Taghi. Je rêve que nous garderons en vie – chacun de nous – quelques bribes de son courage et sa détermination, son esprit, sa chaleur, son rire et ses chants, les nombreuses langues et cultures qu’il portait si facilement parce que toutes avaient été apprises par la rencontre avec des amis, son visionner au-delà de tout ce qui est matériel, sa capacité à dire les mots parfaits au moment parfait. Il va nous manquer au-delà de ce que nous pouvons exprimer, mais, s’il-vous-plaît, essayons de refaire vivre une partie de lui, encore une fois, chaque fois que nous serons ensemble. Dear all! hi-i, when death comes among any of us, we know silence, cold, self pity, hate for oneself, and may more, so the passing away of Dr. Mohammad_ tagha will live in our memories for ever, especially for us who have been benefiting from being members of the ICCA Consortium because I have been benefiting a lot by being a member and such news reach some of us we feel really what I have already mentioned above! May God the creator grant him peace as he settles down to his Kingdom! Taghi Farvar has always been there in my environmental activist life since I as a teenager became active organizing alternative activities at the first UN Conference on Environment in 1972. 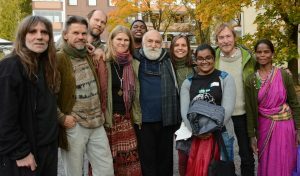 He was a driving force among 60 environmental activist from the third world in the OI committee which were able together with the Swede Jan Fjellander to challenge the Western environmental movement dominated by Anglo American fusion of corporate, state and movement professional interests. One idea promoted by one of the most prominent American environmentalist, Paul Ehrlich was forced sterilization of men in the third world to solve the environmental crisis. Another was elitist technocratic solutions presented by the Club of Rome in their book Limits to Growth. Taghi Farvar and the OI committee successfully challenged these ideas and laid the basis for the kind of social justice anticolonial environmental movement that later developed. I have written two papers about the important role of the OI committee in the building of the global environmental movement. One about the UN Conference in 1972 and how a movement during ten years developed an alternative to the Western dominated development model. Another about the emerging of the global NGO system using a comparisment of the UN Conferences in Stockholm 1972 and Rio 1992. 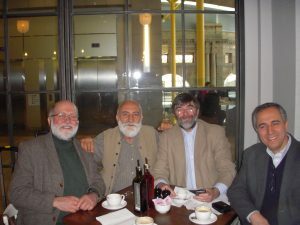 I met Taghi Farvar recently at the International peoples assembly meeting « Europe in movement » in Barcelona. 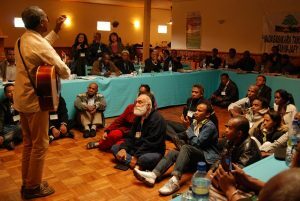 It is typical that Taghi was present at this creation of a new global popular movement initiative endorsed by Via Campesina and strong in Africa, Latin America, Arab countries and parts of Asia. He was their, the only one barefeet at the meeting, having more political experience than anyone else. Representing 11 Iranian nomadic tribes his wisdom, sharp comments and constructive remarks was moving the meeting towards understanding and strengthening the diversity and the focused energy which Europe and the world so well needs now. We spent some nights together talking. He gave me some gifts to bring home to Sweden to Liv Fjellander born during the Stockholm conference to whom he was a goodfather. If I ever thought that what I as a teenager experienced and especially some others like Jan Fjellander during the building of an independent popular environmental movement in 1972 was something special I had to reconsider my thoughts. We were in 1972 faced with 12 journalists from two US magazines that never wrote an article but destroyed every press conference we made as we criticizes US use of Agent Orange and any other kind of disturbance you can think of including many from the left that did what they could to stop the participation of the third world activists and the building of a movement beyond the the control of left wingers. What Taghi told me in Barcelona is what happened afterwards. Taghi had advanced ecological knowledge so he became assistent in the Iranian delegation in the follow up of the Stockholm Conference. At this time China was new in global diplomacy and the conflict between third world countries and the West sharp. In the negotiations on creating the follow up institution UNEP, United Nations Environmental Environmental Program there were two sharp conflicts. One was about setting up a environmental fund which was strongly opposed by the West. That would mean not only costs but also that third world countries could use these money accountable to UNEP and not individual Western countries. The situation was going towards complete stall mate. Something had to be done. The head of the Iranian delegation was a noblemen who prefered to go to the beach so he handed over the negotiation to Taghi Farvar. Taghi used the opportunity to strongly cooperate with China and other countries in the G77 group of third world countries doing what he could. At this time Iran was one of the strongest allies of the US in the whole world. The US made a coup against the Iranian president Mossadeq in 1953 known for being uncorrupt and popular. They put the Shah in his place who set up an extreme security police torturing whole families if one family member opposed the government. Iran was at the time of the UNEP negotiations on the top of list of human rights abusers. As the US-aligned Iran so strongly endorsed a common third world position against the West it probably made G77 more determined to have their will. As determined was the West to stop them. Finally one from each group were elected to become negotiators for the opposing groups. Taghi Farvar became the negotiator for the third world. The first thing he did was to propose that when the two of them came to a conclusion, they should stop any further debate in their groups and state that nothing else than their common proposal could be decided. Both knew that they would get great problems in their constituencies whatever their common position would be so it was a practical proposal they could agree upon. Than there was the actual content. Here there were diverging points on several issues. One point Farvar saw as not essential fort the third world to stop so he excepted it. The main thing was to get the fund which the third world wanted. He asked what was the mandate given to the Western negotiator. He was supposed to accept more or less everything except a fund. Then Farvar asked was that the exact wording he had to refuse. The answer was yes. Than Farvar proposed another word for the same thing. By then the two negotiators probably were rather exhausted. Once more it made sense to the Western negotiator. They came to an agreement as proposed by Farvar. The next day when the proposal was presented here were no problems in the Western group. Faced by a fait accomplit they had to stick to their choice of negotiator and thus to the agreement that he had made. It was worse for Taghi who had to physically stop the worst attempts by G77 members to sabotage the agreement. Noe the real problems started. Maurice Strong, a Canadian business man central in the UN Conferences 1971 and 1992 and in the setting p of the UNEP approached Taghi and asked how he could act so much against the interest of Iran with its close bonds to the US. Strong said he was a close friend to te Shah and should bring the issue up with him. Taghi neck was now a stake. What to do? He went to Mustafa Tolb, the proposed director for UNEP and asked if he had done something wrong. n the contrary said Tolba. without this deal UNEP could never be a common initiative. Next day Maurice Strong approached Farvar and told him he had done such a good job and thanked him. Monica and I returned to Montreal on the weekend from a family canoe-camping trip in remote northern Quebec to learn the sad news of Taghi’s passing. Such moving tributes have been paid by so many who knew Taghi longer than we did. For our parts, what an amazing privilege and inspiration it has been to pass some precious hours with Taghi over the past two or three years. His departure represents a huge loss for many, many lives; but his example and memory are with us into futures that his influence will continue to shape. Taghi Chéri, Taghicito, Taghijoon, Taghito Merci, Thank you, Gracias. Great defender of Human Rights, tireless defender, representative and voice of indigenous peoples and local community rights accross the world, putting down every boundaries, the most nomadic nomad I met. I take your energy as seeds that are getting multiplied, on the entire earth, as you encouraged resistance, dignity and life anywhere you would go. Thank you for your joy, your learning, your vision, your dedication, your optimism, your humility, thank you for so many belly laughs, and for so many moments of deep pride I felt working next to you. Thank you for your continuous intense support and guidance. I am thinking of the dearest Catherine Razavi, Sam, Jeyran, the entire Cenesta team, Grazia and the entire ICCA Consortium. I love you, we all love you. Now I take your legacy as another brick on my path. I will miss you. Here are two photos, just to condense so many memorable memories, one is my favorite of you, and one is when I am in your arms, Mr president! I am actually sad because I don’t have with me so many pictures… and especially those of hen you hosted me in your home. Taghi Farvar, sa Jemmá arlai keso afqat, kius afsekta sa tou jemma haper jetakualok qei. Čauks os sa æskiuk čačar Kejena sekué. Taghi Farvar es y seguirá siendo un gran hombre, su voz y su enseñanza fue entregado a mucha gente. Su espiritu y se escencia estará siempre con cada uno de nosotros quienes como pueblos indígenas defendemos nuestros derechos. 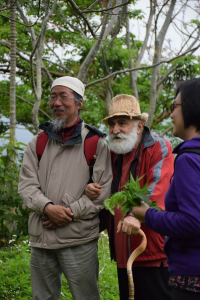 The Global Forest Coalition mourns the loss of a heroic fighter for the rights of Indigenous peoples and local communities, Dr. Taghi Farvar. Taghi was the chairperson of our member group CENESTA-Iran and the chairperson of the International Consortium on Indigenous Peoples’ and Community Conserved Territories and Areas (ICCAs). 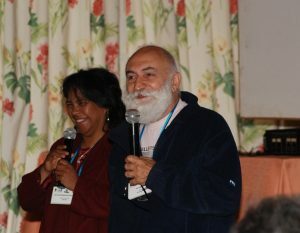 As a member of the Iranian Azerbaijan tribe, and co-founder of the Union of Indigenous Nomadic Tribes in Iran (UNINOMAD), Taghi has dedicated his life to advocating respect for the biocultural approaches of pastoralist peoples and other Indigenous Peoples and local communities and their rights to govern and conserve their own territories and areas. He was a great source of inspiration to all of us: A man who combined a strong moral framework, passion, courage, and wisdom with a great sense of humour. We will miss him sincerely as a dear friend and colleague, but his spirit and vision will be with us forever and the seeds he has sown throughout his life will continue to grow. Many of us at UNEP-WCMC knew Taghi personally. He was an active member of the steering committee of the ICCA Registry, taking every opportunity to challenge us as we navigated the path to mapping territories and areas conserved by indigenous peoples and local communities. His interventions were almost always lengthy, passionately-delivered, and ultimately correct. 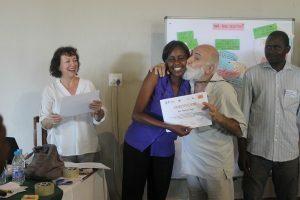 Through his decades of experience, Taghi helped us to understand the challenges, motivations and values of indigenous peoples and local communities, and allow our work to be led by them. He will be sincerely missed. Farewell Taghi joon – you will forever be with us in spirit. Your fullness of being and rich life have left us with many stories to share. You have been a truly inspiring freedom fighter who has always defended the rights of indigenous and local communities everywhere. Ever since we began working together in 2001, I have admired your courage, rebellious spirit, endurance, political intelligence, proactive tactics, and artful resistance in meetings with technocrats, ‘could-not-care-less’ policy makers, and cynical bureaucrats in conservation and development organisations wedded to ‘business as usual’. Your colourful panache, irreverence for hierarchies and authority, your defiance of the absurd and unjust were always refreshing and often galvanised others to become bolder in claiming their rights to voice and agency. My children affectionately nicknamed you ‘Taghi the Tiger’. But ‘Taghi the Tiger’ was also a gentle soul full of empathy and love for people and other sentient beings living on this Earth. Taghi joon you touched us with your capacity to care for others, your warm hospitality, your ability to listen and understand, your cultural sensitivity and tact, and your generosity and conviviality. As many of us directly experienced, you had a formidable ability to communicate and bond with others. Your sense of humour and jokes, – including your very naughty jokes! -, made us laugh, rejoice, and enjoy our shared humanity. At times too, you could be infuriating, terribly stubborn, and pushy. But you were real and you embraced the contradictions of being a human being. Your playful and disruptive ways of being came with a profound knowledge of the world and its different cultures. You surprised many in official meetings when you would go around bare foot and in colourful dress whilst engaging in erudite conversations in which you effortlessly switched between the many languages you could fluently speak. Ever since I read your first major book – The Careless Technology in 1972 – I have admired the breadth of your knowledge and your sincere commitment to a science for, by, and with the people. 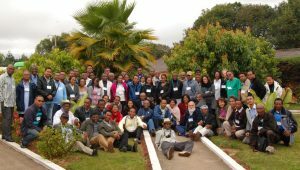 You always tried to link theory with practice as well as build respectful bridges between science and indigenous knowledge systems through the participatory action research you advocated and practiced. No wonder you have made such a decisive contribution to the work of the ICCA Consortium and other social movements working for food sovereignty and bio-cultural diversity. And the memory of your work will continue to inspire us all. I offer my deepest condolences to your family and close circle of loved ones, your extended family in the pastoral communities of the Azerbaijan tribe of Iran, your huge circle of friends, and colleagues around the world. Taghi joon – yours has been a remarkable and rich life. I deeply thank you for all your brotherly love, generosity, solidarity, and wisdom. You have now departed this physical world and we are all slowly coming to terms with your loss. But I also know that you will always be there with us in the invisible world, – accompanying us like a good Azerbaijan tribe shepherd and inspiring us for a long time into the future. Biggest ever bear hug Taghi joon. I am really shocked with the news of of the untimely demise of our great friend Taghi. He has been a continuous inspiration to me and all our people around the globe. I am sure we will continue with his unfinished agenda in livelihood improvement of the poor people through our conservation efforts. My deepest condolences to Mr.Taghi’s family and the ICCA Consortium members. Personally, I feel I lost an indigenous elder who is committed to promote and defend the IPs rights and the consortium lost a dedicated leader in its mission. This is very sad news. He has been a strong champion and inspiration to all of us. 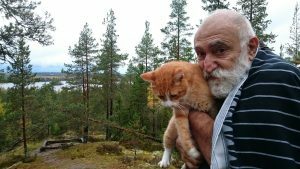 As a part of the tour in November 2017 Taghi also visited our small ecocommunity Katajamäki (Juniper Hill) – showing his gratitude also to smaller fellows like Kipinä (Spark), our cat. Taghi left his mark to all of us, such a great and goodhearted man. A paragon who’ll live and inspire us much still in the future. My deepest condolence to all close to him. Our hearts are heavy today. Words cannot express the confused turmoil that overwhelms us. Taghi was an intelligent, inspirational activist and leader of just causes who never relinquished his boundless curiosity, his humility, his wonderful sense of humour. I had the honour of working together with Taghi and the CENESTA team he led for several years, during which time I learned a great deal from Taghi about Iran, its peoples and cultures, about the challenges and exciting options of life itself. My wife and I will miss him dearly and cherish our memories of experiences and dreams shared with Taghi. Our deepest condolences to Khadija, his daughter Jeyan, the rest of his family and the CENESTA team. In October 2017 Taghi visited Finland along with six other correspondents that took part in a book project « Letters from the Future » by the Siemenpuu Foundation. His warm and wise presence during the two week tour left a lasting impact on the team and the audiences. I feel very privileged for having joined numerous conversations with Taghi during those days ranging from the 1972 Stockholm conference preparations to the present day struggles of the herding communities. Today I am deeply saddened by the loss and wish to send heartfelt condolences to all his near ones. The universe cheated us and we wont be meeting again in Iran or Greece like we said we would. 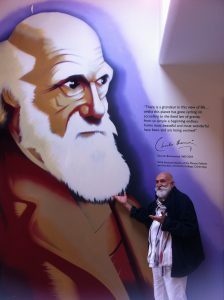 I will never forget you though, how you inspired me and gave me courage and new ideas for my work in my area in Greece. We are all very sad with the passing away of Taghi. It is very difficult to find words to express the feelings we have with his departure. He was a special person and leader for all of us. We felt a close connection with him in Latin America, since he not only spoke fluently Spanish but also lived and knew our context, so he easily connected with us and our reality. Bellow is a link to our website with some words in this sad moment from the South America Southern Cone Consortium members, the Kaweskar and Quinquen communities in Chile. My thoughts and prayers go to Taghi’s family, close friends and colleagues. I met him in 2007 in Turkey. Sitting with him outside an old Islamic college, Taghi inspired me with he words about the sufi’s, their music and of course Rumi. During the next 2 years, reading Rumi’s poetry brought great comfort to my late wife, & I return occasionally to the verses she marked. Later, my son & his wife asked me to read a few of Rumi’s poems at their wedding. We meet a few specific persons for what seems to be only the blink of an eye, but their blink can spread lasting inspiration. Thank you Taghi! This is very sad news. Taghi had a great heart, a love of life, nature and people. All those who knew him at IIED are sad to hear the news, but remember him with much love, humour and affection. He could sometimes be infuriating and obstinate, but always with passion and conviction for the knowledge, ideas and beliefs which were core to his existence. It’s sad that Iran in particular no longer has him fighting for more sustainable solutions there. He was a great advocate of pastoralism in their mountain regions, and made common cause and friendships with fellow travellers around the world. He will be sadly missed. I met you in 2011 in Prana Dewi, Bali, Indonesia…and we kept exchanging messages occasionally since then. Not so long ago, we discussed potential collaborative work in Niger…and more recently you offered to welcome my cyclist friends in your country. We have only spent one short week together…and you remain a sort of old friend and a grandpa with a sparkling personality. You’ll keep traveling with me through life . That sad news arrived to me, here in Canada, from Madagascar…and I am sure it will bounce all other our world…A world you traveled so much. I send my love to each of you who loves that sharp, generous and humorous man. My deep condolences to Khadija and all the family for this loss. I’ll have you in my mind. It is with great sorrow that I heard of Taghi’s passing, last evening. I remember the first time we met when he said with his usual twinkle “a fellow Iranian, a Zarthosht; we come from the same heritage”. We spoke often of Iran and indeed, the only time I have visited was for a meeting he organized when he bought the regional members of West Asia together in Tehran. He said he would take me to where my family came from, to Yazd, and I regret its now too late to take him up on his offer. He was wise, compassionate and one of the few I have met, who had the courage to speak truth to power. Often a rebel and a renegade in the staid confines of IUCN, so many of us supported his attempts to upset the status quo and find the kernel of truth in IUCN’s mission statement of a just world that values nature. We shall miss him greatly, while being assured that in many of us, his sprit lives on. With best wishes to his family and friends to continue the good fight. Mi más sentido pésame a la familia y a todos los miembros de icomunales y del icca corsorcium. What a privilege it has been to spend my first year at IUCN working with you. I learned so much from you during our workshops and fieldwork together. Remember how you insisted we talk to this lady in Georgia close to the Turkish border, and she whispered prayers and blessed us, it was a moment I will never forget. Thank you for your stories, wisdom and guidance, and for pointing out the surprising links of solidarity between our Irish and Iranian cultures. My deepest condolences to your family, Cenesta, the whole ICCA consortium and your wider global family. You and your cheeky wink will continue to be here in all of our hearts and minds! Following your path, and already missing you. Me ha sorprendido y afectado mucho la muerte de Taghi. Siento que nos ha dejado demasiado pronto, que nos quedaba mucho por disfrutar y aprender de él. Por otra parte, me siento afortunado de haber podido pasar tanto tiempo junto a él, estos últimos años. Taghi era una persona brillante, tanto en lo profesional o intelectual pero sobre todo en lo humano. Siendo positivo, creo que vivió una vida plena y que dedicó muchísimo de su tiempo y energía a nosotros, a todos los demás, y debemos estar agradecidos por eso. Comparto con todos vosotros una foto, en Cambridge, que ilustra bastante bien su buen sentido del humor. La cita de la pared (Darwin) también viene al caso. De entre las maravillas que poblaban la tierra, Taghi, tú eras una de las más sorprendentes. « I was very much surprised and affected by the decease of Taghi. I feel that he left us too early, that there was still much to enjoy with and learn from him. On the other hand, I feel lucky of being able to share so much time in his company, along these last years. Taghi was brilliant, both at intelectual and professional level, but above all as human being. Being possitive, I think that he lived a plenty life and that he dedicated a great deal of his life to all of us, something for which we should feel thankful. I am sharing a picture (Cambridge), that shows quite well his great sense of humor. Te quote in the wall is also pertinent. 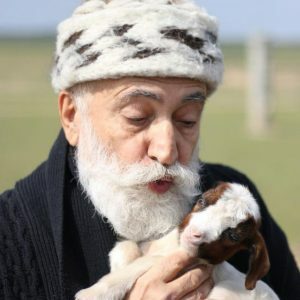 From all the worderful creatures living on Earth, Taghi, you were one of the most awesome. We will feel the loss of a great person among us, but not his teachings and inspiration. To all the many friends, family and colleagues of Mr Targui, our respectful message of gratitude in his memory. No conocí personalmente al señor Taghi Farvar, pero siento tristeza de saber que hemos perdido a una gran persona que mostro el nivel de compromiso por los pueblos indígenas y comunidades campesinas como presidente del TICCA deja un gran legado. Paz en su tumba, y fortalece a su familia. Queridos colegas del ICCA Consortium. Qué triste noticia la partida de Taghi. Ha sido una persona excepcional, gran líder y motivador. Su legado está en muchos de nosotros que seguimos caminando por la ampliación de derechos para Pueblos indígenas y comunidades locales. Taghijoon, it was a privilege to have known you. Your wisdom, passion and humor will be sorely missed. We will never be able to pull off what only you can. But for all of us you have inspired, may we carry on your lifelong advocacy as we write a new chapter for the ICCA movement in Southeast Asia. 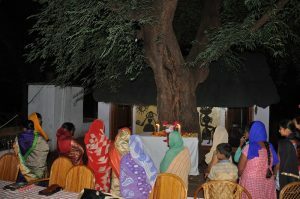 Yesterday in order to pay their tearful homage to Taghi’s departed soul the women and men of the Deccan Development Society congregated under a tree in front of his portrait. 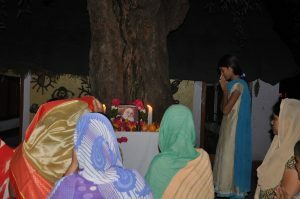 They offered their prayers and flowers to the peace of the departed soul. People who do not know any language other than the one they speak had never understood what Taghi spoke to them during the various meetings that they came face to face. But Taghi the man was many times more than the words he spoke. His very persona, his demeanor and his gestures made a direct connect with the peasant women and men of DDS. And therefore their prayers for their Soulmate. Bad news for the loss, we are praying for the recovering of the family and friends. Je viens de livre se message et je n’arrive pas croire à ce que je lis. Taghi est parti pour son denier voyage? Quel perte pour le movement mondial de la conservation, quel perte pour les causes des peuples indigénes, de la lute pour la justice sociale pour lesquelles il s’est engagé avec passion. Quel tristesse pour tous ses camarades et ses amis qu’il a su mobiliser un peu partout dans le monde! Toute mes condoléances à sa famille de sang ainsi qu’à la grande famille du Consortium des APACs qui vent de perdre un de ses membres les plus brilliants et engagés. 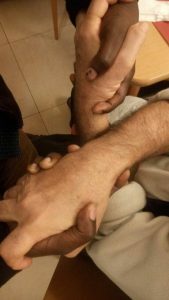 Que son exemple puisse nous inspirer et nous donner de la force pour poursivre le combat pour les causes que nous partageons avec Taghi Farvar. Cest avec une grande tristesse que nous avons appris le décès de notre camarade de combat le feu Taghi l’IPACC qui a suivi les activités de Taghi présente ses condoléances à sa famille, ses amis au Consortium ICCAs et son équipe à sa tête Mme Grazia. 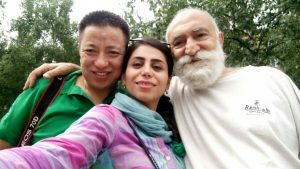 From Friends of the Earth International we express our deep sadness for the pass away of Taghi Farvar, Chair of the ICCA Consortium. We were able to share with him and other colleagues of this organization in some opportunities and we always had a lot of fill joy and ideas. Its a big lost. He was an amazing person, and his rich legacy will remain in terms of all what he did for the rights of the indigenous peoples and local communities, and to make them respected and recognized as the real nature’s keepers. Mes plus sincères condoléances pour la perte de notre père qui, je sais, était tellement important dans votre vie. Vous avez su lui rendre, dans ses dernières moment, tout l’amour et l’attention dont il avait besoin. Nous souhaitons de traverser ce moment difficile avec sérénité et sachez que, même si il n’est plus là, elle continuera d’habiter nos pensées pour toujours. A very sad news! He was indeed an inspirational leader and activist for the rights of IP and local communities! His inspirational contribution will be remembered forever! 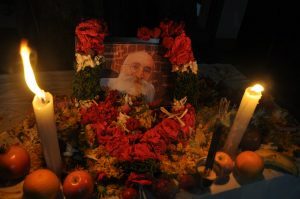 Our (ICCA Network Nepal) deepest condolence to Taghi’s family and all who love him! May his soul rest in peace! Like everyone, I am still taking in this news. Taghi was such a larger-than-life person that it is hard to imagine the world without him. But as so many have already observed, his legacy is considerable, and will continue. I will miss his provocative ideas, his intellect, his stories and his humor. And his insistence that bare feet are perfectly acceptable at any meeting, no matter where— surely this was one of my favorite memories of the World Parks Congress in Durban! There has been such a flood of beautiful memories and tributes to Taghi since yesterday, and I hope that they will soon make their way to the page on the ICCA website where they might be shared more broadly. I am sure that this will be a great comfort to his family in this time of loss. Every moment spent in your company has been inspiring, full of life and lots of laughs. You always were able to make everyone feel just at home, wherever we met. From taking long walks in New York or on very cold Pyeongchang to just recently just few weeks back seeing you on Skype (still joining the meeting) in Montreal. Glad we did as did not realise it was to be a last meeting. Thank you for all your guidance and for always taking the time to listen. Here’s to you. RIP. You were a significant figure in my life. One of my first memories is that you taught me how to tie my shoes when I was five years old. It gave me a nice sense of accomplishment about what I could do for myself as a little boy. We didn’t see each other for many years after my family moved to America. I missed the wisdom you could have imparted to me in my formative years. We saw each other occasionally in my youth when you would come to visit and tell us of your faraway adventures and unleash the occasional running somersault gymnastic leap. You were a dervish unlike any other in my surroundings. I visited you in Iran when I was 15 and you introduced me to your coworkers who showed me village life in my own country of origin after many years abroad. Our last adventure together was in Jamaica where we spent time together with your family. I witnessed your bravery and open heart while trying to improve the lives of people in rather frightening circumstances. Humanity was your family in a way I’ve only heard described about saintly figures. May you play among them now. 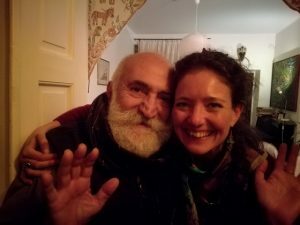 I will miss you immensely, dear Taghi – your profound knowledge of languages and cultures, your rebellious anti-establishment soul, your hugs, your robes, your words, your humour, your bare feet on high meetings, your pride, your understanding of the world and will and force to change it for the better – and above all your warm heart. Taghi was always such an inspiration to keep on fighting for the rights of local communities and indigenous peoples, and a well of knowledge and sharp insights. Condolences to his family and close friends. Desde Colombia y el CEMI nos unimos al sentimiento de duelo por la ausencia de Tagui. Queda en nuestras manos la herencia de su trabajo e inspiración. We should all celebrate an exceptional guy. One who has successfully led the cause of indigenous peoples and local communities into the thinking and action of all of us whom he met. And we are the better for it by far. 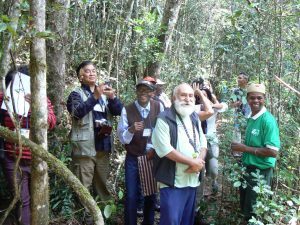 Without him at the 2003 World Parks Congress in Durban we would not have made the vital linkages between people and protected areas. There are few people whom one meets in life who make a most significant and lasting impact. Taghi was one of them. May his influence continue in all of our work. From TyN Suso and myself feel terribly sad to hear the sad news. We have no further words just to say we have lost an extraordinary person. Rest in peace and be with us forever. My deepest and most sincere condolences to the family and many many friends of Taghi Farvar. May we all find strength and peace in this life lessons and sharing, and be inspired by him. Conocí a Taghi en la reunión del Consorcio ICCA Mesoamérica realizado en Petén Guatemala en abril de 2016, Admiré su dominio del idioma español, así como su bondad, sereneridad y sabiduría en los temas de conservación en territorios indígenas. Conversamos largamente y supe entonces que hizo un gran hallazgo sobre el uso del « Dicloro, Difenil, Tricloroetano » (DDT) en el cultivo del algodón. Su Tesis Doctoral realizada en los años 70 de en Guatemala, concluyó que las mujeres guatemaltecas tenían la más alta concentración de DDT en la leche materna. Denunció los hechos y presionó a las autoridades para detener las aplicaciones de estos venenos, que se hacía desde avionetad, miemtras los trabajadores estaban en las plantaciones. Claro que al gobierno y a las grandes empresas no les gustó esta denunciay tuvo que salir del país, pero sus datos ayudaron a denunciar el uso indiscrimanado de estos agroquímicos y las pésimas condiciones laborales de los trabajadores, la mayoría de ellos familias indígenas del Altiplano. Ahi comprendí el afan y el compromiso de Taghi por la lucha de los derechos de los pueblos indígenas y la protección de la madre naturaleza. Yes, the news is indeed sad. I first met Taghi in New York this past April, and I was profoundly impressed and inspired by his message and his dynamic commitment to preserving indigenous peoples and their territories around the world. We shall all continue to be inspired and energized by his life and legacy. 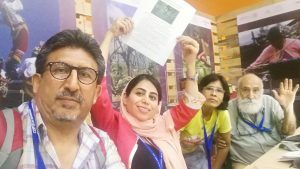 Recalling the desert tents and mobile peoples representatives that Taghi lovingly positioned in the middle of the World Parks Congress in Durban — Taghi was a man who touched hearts through disruptive action. May Taghi live on among us in hearts and deeds! Of course we’re all feeling enormously sad today. But we should also celebrate a life lived at full tilt, with a huge legacy of friendship and positive change; no-one can ask for more. I’ve been in touch with Peter Harper, a friend of Taghi’s of 45 years but not on this list. He passed on the attached anecdote, which sums up so much. I knew Taghi in connection with the UN Conference in 1972, and later worked with him in Iran until the Revolution swept all our efforts away. His linguistic skills were legendary. Here is a true story. I met him and Catherine in a restaurant in London in the early 70s, along with other Iranian colleagues. Catherine is half French and many educated Iranians were happy to speak either English or French, so the conversation bubbled along switching from one to the other. We were so gossipy it took the patient waiter some time to take our orders. Noticing his accent, Taghi asked him where he was from. “Mexico”. Taghi immediately started a conversation in Spanish. I then recalled that Taghi had done his PhD in Guatemala (on DDT in mother’s milk). We laughed of course. Seeing the delay, another waiter came up to help. He was from Iraq, and Taghi, having studied in Lebanon, switched to Arabic. More laughter. Yet another waiter, attracted by the fracas, came over and it was quickly established he was from Iran, whereupon the whole table erupted into joshing Farsi. At this point the whole restaurant had come to a halt, with all the waiters gathered round our table joking and laughing. Suddenly the manager appeared with a look of thunder on his face and started to berate his waiters. Taghi, still smiling, asked him where he was from. “What’s it to you? Istanbul”. It is not widely known, but Taghi is actually an Azeri: Turkish is his mother tongue, and he soon had the manager eating out of his hand. When the dust had settled, we all got complimentary desserts. On behalf of the ILC network, I join the many other people from all over the world who are expressing their grief and condolences at the passing of Taghi. 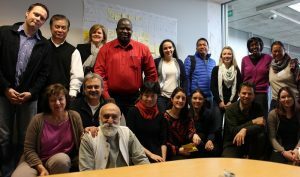 ILC members come together to work for people-centred land governance. If I had to think of one person who embodies what this means, as a visionary, pioneer, activist and great human being, it would have to be Taghi. He inspired many in our network, and it was a privilege to have his participation in ILC events, including the previous Global Land Forum in Dakar. Our thoughts and prayers are with you, as we all continue the legacy he has left us. Such sad news, what an amazing person he was. When he unites with his ancestors they will be proud of him, like we all are. Theres’ no way to describe Taghi but reading everyone stories brings some solace. My heart goes out to all of his friends and family. Desde en centro de Sur América, hacemos llegar nuestras condolencias a la familia de Thagi, un gran hombre de lucha por los pueblos indígenas y medio ambiente, vivirá en nuestros corazones, paz en su viaje al otro mundo!!!!! Shattered with the news, hard to imagine that Taghi is no more with us, shall cherish memories with you. You have inspired us all, championed a great cause and have left a lasting legacy for everyone to nurture further. Taghi was extraordinary in so many ways and inspired so many of us. He has been such a tremendous champion of Indigenous peoples and ICCAs. It has been a gift to know, love, and work with him these past ten years. I will deeply miss his wisdom, his joy in life, his great heart, and his leadership. I feel like I have lost a brother. My deepest condolences to Taghi’s family and all who love him. Taghi, not sure what to say. 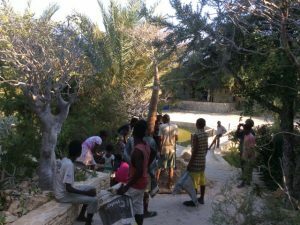 A great tree with wonderful shade for supporting the struggles of indigenous people’s customary rights to their territories has fallen. The tree that had wit, intelligence, humor, wisdom and a resilient spirit that transcends our human life. I will forever remember your great words. On our last Executive call a month ago, you were in your usual jovial self. Protesting against using zoom, then using it. You annoyed us, we loved you and we will really miss you. Oh Taghi. Go well Great Elephant, Go well Comrade Patriarch. It’s hard to believe that Taghi was no more with us in the Consortium, leaving behind a big hole in my heart and space. It is like losing a big tree canopy which provides a cool shade for the young seedlings to grow up. In my few times encountered with him, I always felt warm and encouraged when he was with us. This picture reflected the true moment we have had with Taghi. It was one evening in April 2018 in New York, while we were having a discussion he fell asleep (the sweet nature of him). So, I gave him a Thai massage and then Giovanni took turn to gave him a Filipino style massage. And he said « what more do I want? » Rest In Peace my dear President! Your name will be remembered and honored in our movement for the rights of the indigenous peoples and local communities across the world. My deepest sympathy and condolences to all the family members. My prayer for the ICCAs Consortium to recover from the loss of its greatest leader. What an astounding gift Taghi was to us all. A package of surprises – inspiring orator, bold warrior and intellectual giant who shook institutions, champion of the downtrodden who noticed people and had a heart and time (and naughty joke) for everyone, and a comedian who loved centre stage. I remember him giving it his all and then peacefully napping on the floor of the World Parks Congress halls and passages in Sydney (and later on a boat whilst everyone else was looking for dolphins). Very few people could make us belly laugh (and infuriate us at the same time) the way you could Taghi!! We will miss you dear friend. It is hard to believe the news, an incomparable loss. You will also be part of us, you will always be our motivation and energy to keep the cause you championed alive. Thank you for the love, kindness and guidance – I will cherish it eternally. What a loss! After hearing the news of the sad demise of Dr. Mohammed Taghi Farvar on July 16, 2018, I started pondering if a person like him ever dies? If true, then why did such remarkable people who spent their lives for a cause and left us still remain in our hearts and minds? In my opinion, such men don’t die in fact go to another world to live their lives but we cannot feel their presence. My interaction with Taghi began in 2007 during IUCN congress in Barcelona, when I saw a person in causal dress roaming around the conference rooms, speaking different languages including Pakistani languages (Urdu and Balochi) – a very soft and humorous person with the indigenous communities and somehow hard but logical with the conventional managers and decision makers. The committed and passionate Taghi was so excited during our first interaction when he knew that I am from Balochistan – Pakistan and started interacting in a mix of Arabic, Urdu, Persian and Balochi. I found this old man from a Shahsevan indigenous tribe of nomadic pastoralists of Iranian Azerbaijan a person of high aims, an interdisciplinary scientist and activist leader for the conservation of nature and the customary rights of indigenous peoples and traditional communities to govern their natural resources and to define and earn sustainable livelihoods. He always wanted to come to Pakistan to spend some time with the Nomads but regretfully could not materialized due to security situation. 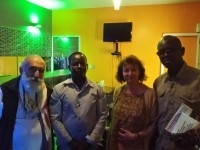 Taghi you will be remembered, as you strived for the wellbeing of voiceless communities. My deepest condolence to Taghi’s family and the ICCA family. 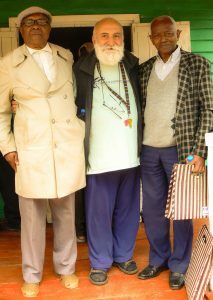 We lost a father of indigenous people movement, a dearest friend and a spiritual leader of ICCAs. I just heard this tragic news last night from Caroline Wimberly. We cried together and cannot believe it. 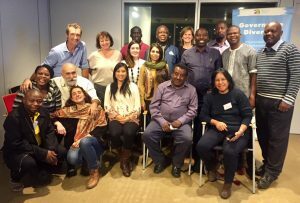 I first met Taghi at the ICCA GSI workshop in Switzerland and then at the Fostering Community Conservation Conference in Durban. I saw how he always fights for indigenous people’s rights and how he inspires people to join the struggle for local communities and the people. 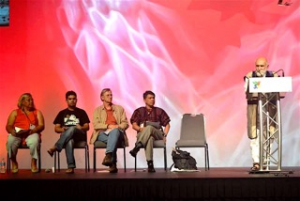 Then we invited him to China to share Nomadic ICCAs in Iran, which has inspired hundreds of workshop participants. I here share some of Taghi’s photos in memory of his passion, energy, humor, inspiration and love. On behalf of ICCA China working group, may his soul be in peace. He is deeply missed from the bottom of our hearts. Les peuples autochtones, le consortium national APAC Bénin et GRABE-BENIN ONG présentent leurs sincères condoléances à la famille éplorée et au consortium ICCA. Oui c’est vraiment difficile mais nous ne pouvons rien que son âme repose en paix. What a loss! May he be in peace. My sincere condolences to his family and friends. 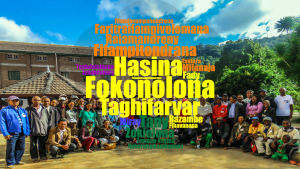 We, TAFO MIHAAVO – FANONGA and ICCA gathering network of local communities in Madagascar and member of ICCA Consortium, join the rest of his family, his colleagues and friends and local communities around the world in expressing our deepest condolences and compassion to TAGHI’s family and community in this painfull situation. It was a great honour, pride and pleasure for Malagasy communities to be part of ICCA and beneficy his competencies . He will miss us but sure we’ll rely on his excellent work and commitment as of model of community governance and promotion of ICCA identity which are fundmental for success and suistanaibale development. May God be your strength and renconfort you and us. with us on the earth. His name was Taghi Farvar. and guide us ever onwards. to pass on the ancient messages…. Warm embraces of sympathy to his family and huge circle of friends. I shocked to hear this, we lost such a great inspirational community leader. Our deepest condolences for Taghi’s family. We have lost an inspiring cultural navigator and friend whose life epitomised universal values while never losing sight of the need for cultural sensitivity in applying and interpreting those values. His guidance will be with us and long remembered. oui, une des plus belles personnes que j’ai connues s’en est allée, mais elle nous laisse tout ce qui fait d’elle un homme d’exception: son intégrité et son énergie. Tout ce qui nous reste à faire, c’est de montrer qu’il a eu raison de mener le combat avant tant d’amour et de vérité. Chaque APAC qu’on gagnera le fera vivre encore plus! Les grands hommes ne meurent jamais! I’m so mad at you, Taghi Farvar, such anguish, for leaving us. We relinquish you with sorrow in our hearts. We needed you, but country needed you more. No more worry, no more troubles, no more spreading the grand message of peace and love. You crashed my car (I’m still laughing about it! The one thing i told you not to do…) at the same time you crashed into this Indigenous life. The lights are much dimmer without you. May you enjoy a thousand sunsets and sunrises on the camels you so loved. The world has lost a shining jewel. Taghi’s passion, dedication, joy, and delight in all that he did – and everyone he met – has been an inspiration. My heart is aching with the shock that he is no longer with us. My sincerest condolences. I thank Taghi for inspiring me with his wisdom and insights and will continue to take these learnings into my future endeavors. The most inspirational person I have, I have met many people. This is such a beautiful tribute. Thank you. We will miss Taghi and I am sure for most of us he will remain an inspiration. My love to you all who feel this loss deeply – but as you say especially to Grazia. I can’t believe my eyes to read this sad news. Oh no! I knew Taghi for nearly two decades, and been deeply inspired by his passion and commitment to tirelessly promote the rights of the millions of voiceless global populations. While we uphold his time-and-generations-transcending high goals, we sadly lose his humor, sweet charm, wisdom, laughter and leadership. Bye my dear brother, and may God bless your family with strength and comfort at this difficult time of bereavement, and rest your soul in eternal peace. I have lost a friend and inspiring guide, and we all lost a hero for communities and pastoralists. My deepest condolences to Taghi’s family and to his closest companions of life. Taghi will always be with us. I never met Taghi Farvar, but have known him from his many publications and his great work leading your organisation. Reading all the condolence messages I realise what a great human being and great spirit he was, touching the hearts and minds of many people. My want to express my deepest condolences to his family and to all the indigenous people and colleagues he worked with. He work will be carried on as we move into more and more difficult periods on Earth. It was a privilege to meet him in Lombok, Indonesia. He has inspired many that his passion will live on. My deepest condolences to Taghi’s family. May he rest in peace. A great loss for humanity. Mirary fiononana feno ho an’ny Fianakaviam-BEn’Andriamatoa FARVAR Taghi : Olobem-POKONOLONA namaly babena ho an’ny taranaka maro dia maro maneran-tany. Mandona tokoa ny fandaozan’OLOBE tahaka izao; Ny Raharahany kosa Mitoetra! We send our sincere condolences to Farvar Taghi’s family and all of his Fokonolona World Families. Taghi Farvar has given much to many generations by his GREAT LIFE and JOY OF LIVING with the Fokonolona. C’EST AVEC CONSTERNATION ET LES LARMES AUX YEUX QUE NOUS VENONS D’APPRENDRE LA TRISTE NOUVELLE DE LA MORT DE CHER TAGHY, NOUS SOMMES TRES CHOQUES DE CETTE MORT PENDANT QUE NOUS AVIONS ENCORE BESOIN DE TAGHY. IL VA RESTER POUR NOUS UNE INSPIRATION ET UN MODELE DE PLAIDOYER ET DE CONVICTION POUR LE RESPECT ET LA PRISE EN COMPTE DES CAPACITES DES PEUPLES AUTOCHTONES PAR LES ETATS DANS LES EFFORTS DE LA CONSERVATION. 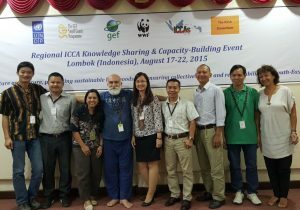 ICCA Consortium. We will always remember Taghi. Nous membres de GRABE BENIN ONG partageons votre chagrin en ces moments difficiles. Dr. Mohammad Taghi Farvar a combattu le bon combat. Il nous a tracé le chemin et nous devons continuer car il a quitté la vie mais il vit de l’autre coté. Je prie sa famille de recevoir nos sincères condoléances. It is truly a sad reading about the passing on of Taghi. He provided light in the movement of ICCA and fighting for indigenous people’s rights. He combined well his academic and traditional knowledge for a better world. Death is the only promise of time that never goes undelivered. Peaceful withdrawal to Taghi. I met Taghi first in 1986 when he was one of the very few Southern souls at the IUCN hq. We somewhow missed him at the office and he came to the Gland rail station later to catch me and friend Jan Wourdov and we had a long chat sitting on the rail track!! The last time we met was at a CBD meeting where a World Bank friend called for the need to strictly monitor poverty eradication projects for their negative envtl impacts. Taghi, a colleague from Bangladesh and I played football on the WB guy and got a consensus that all World Bank projects should be subjected to strict monitoring, instead!! Good bye Taghi, you have been a great source of inspiration. We, Vietnam ICCA Learning Group members, are truly sorry to hear of the loss of the ICCA Consortium President. We are honored and blessed to have received his kind support. He was truly a blessing in our works here and we will miss him. Apenas vimos a Taghi, vía Skype en Montreal. Como siempre, con visión crítica sin perder el buen humor, en esa ocasión cuestionando la conservación inclusiva… y alargando la despedida. La mejor fuerza y vibra desde tierras Mayas, para su familia y amigos. It so sad to hear that our Friend and Colleague Taghi passed away. We will continue to rember him through his acts. My concolences to his Familly. Mes sincères condoléances à la famille de l’illustre disparu et que son âme repose en paix. Les peuples autochtones du Bénin et GRABE BENIN ONG restent en union de prières avec tous ses proches. Taghi Farvar est passé de la vie à la vie, ne soyons pas triste. God you are so lucky that you have Taghi with you. But you are such a villain that you took him away from oour midst and orphaned us all. It is hard to believe that Taghi is no more. His insights, fortitude and cheerfulness is what one took for granted at every meeting. Heartfelt condolences to his family that extended beyond all boundaries. He was indeed the father figure for all indigenous communities. Taghi will continue to live through his work. May generations of tent-holds remember you! Today is a silence day for me. and an inspirational guidance for all of us. Let’s take on the load and go on the road. ayoy! So very sad and shocked to hear this. What an enormous loss to all of us. Vale Taghi, your warm and inspirational presence will live on in our memories. Muy apenado por esta dolorosa noticia. Tuve la oportunidad de conocerle en el taller de ICCA en el Worlds Parks Congress de Australia, y de tener conversaciones muy aleccionadoras. Inolvidables. It has been the greatest privilege to know and spend some time with Taghi. He will continue to inspire all of our efforts to support the rights of local people to protect their lands, resources and sacred places. Toutes les communautés de Madagascar qui l’ont rencontré étaient animés d’un grand désir de relever tous les défis quand Taghi s’asseyaient avec elles. He will remain in our hearts and his memory will give us the strength to continue the fight. I’m very sorry to hear this sad news, it comes as such a shock. Deepest condolences to Taghi’s family, and to all in the ICCA Consortium family. Queridos colegas y amigos: Que la vida de Taghi y su amor por los pueblos indígenas y comunidades locales nos mantengan siempre alerta y firmes en nuestra convicción de lucha por la defensa de los derechos humanos. Vivirá Taghi siempre en nuestros corazones y en nuestras acciones. Mi más sincera condolencia a sus familiares y a todo nuestro Consorcio ICCA, quienes veremos ahora en él un ser de luz y energía que nos acompañará siempre. We all respect you President Taghi. We all miss You. We respect and take responsibilities to take care ICCA. I never forget your word Animism is the root of Indigenous peoples, I do pray on my Animism for YOU. My deepest condolences to his family. May he Rest In Eternal Peace . to grazia, sarah, emma, taghi’s immediate and global extended family – I share in this loss. i only met taghi twice and the last one was at the GA last November. I wish indeed that there were more opportunities to interact with him to absorb all the passion, wisdom and tireless energy. Keeping the icca consortium alive and strong is to keep Taghi’s legacy and firm beliefs alive… with our solidarity, much respect, sympathies and prayers….. This is so sad ended. Dear Taghi dear brother, dear father, dear friend and dear president. we will miss you and miss your franc speak and leadership for sure. All my condoleances to Khadidja and all his family and also to all of us. We lost a big leader. We will miss Taghe. But he deserves the rest. So long. In the briefest moments of our friendship, there was always that sense of tutelage, incitement and passion that I can always see in his eyes. I am an ICCA champion, inspired by him. We will miss you Taghi. One more of the great people in real global conservation lost.. vale, Taghi..
Can’t yet process this. Still in shock. Just recently had a Zoom call with Taghi and he made all of us happy in the end by showing his cat to say goodbye. Feels like losing a brother, even a father. My deepest condolences for the ICCA Consortium and for Taghi’s family. Let him continue to inspire us, even after his departure. We grieve with the family of our beloved ICCA Consortium President. We will be missing him. Yet, must, shall we be consoled that we find strength in the work and legacy he has left. Our prayers and heartfelt condolences. Fue un gran placer e inspiración el conocer a Taghi Farvar. Siento mucho su partida y,al mismo tiempo, recuerdo con afecto su persona, un ser muy especial, humano y solidario. Descanse en paz y que su semilla fructifique en todos los pueblos de la tierra que luchan por su autonomía. If you recently posted a comment, please wait. Messages are moderated. Upload attachment (Types de fichiers autorisés: jpg, gif, png, taille de fichier maximum: -1MB.